This 100% German made mug is known as a Kannenbaecker after the Kannenbaeckerland or Jug baker's region of Germany. It features Bavarian gray glaze, has a solid pewter lid with shell thumblift and hand-applied handle. A classic Bavarian design with the practical use of keeping your beer cold and bug free! Great for everyday use. These 1 liter ceramic beer steins are a simple, yet authentically German way to thoroughly enjoy your favorite beer of choice. Made in Germany, these beer tankards are made with the highest quality Bavarian clay, and their simplistic look make them great for stocking any home bar, man cave, parlor, or other guest room. The polished pewter lid and thumb lift help to keep your beer insulated and cold. Also it is a great way to protect your beer in outdoor settings where bugs and other airborne critters may be present! We carry collectible German steins from King-Werk, Beistle, Rastal, and other major nationwide quality stein makers. 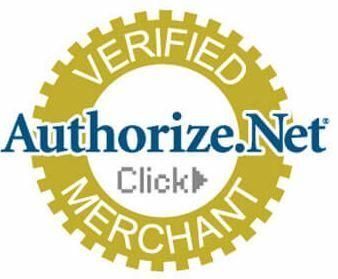 Our inventory is constantly changing, so feel free to check back with us often! These beer mugs are a great way to bring a little bit of class to your party. Serving your guests out of bottles and cans not only makes you look like a Neanderthal, but it also hinders their beer drinking experience as well. 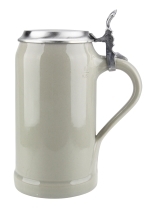 These glazed beer tankards are a fantastic way to bring a more festive atmosphere to your party. They are great for birthdays, wedding parties, Oktoberfest gatherings, and almost any other special occasion! Be sure to check our entire inventory of German gifts and hand-painted steins and personalized beer mugs today!